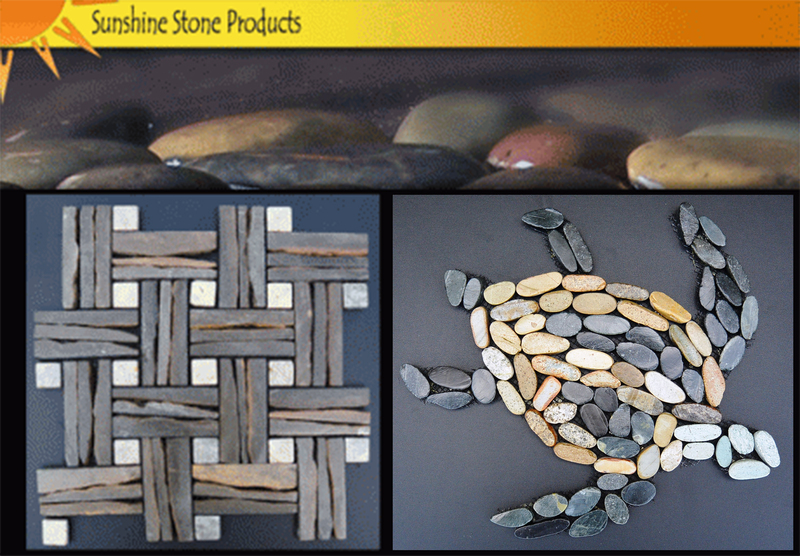 Your source for Toemi® brand pebble tile products. It is our endeavor to leave no stone unturned! We are proud to assist in your decorating needs, whether residential or commercial. Our Pebble Tile products are unique in the fact that they reflect the beauty of the islands where they are formed. 4 x 6 inch samples are available through our authorized sources. 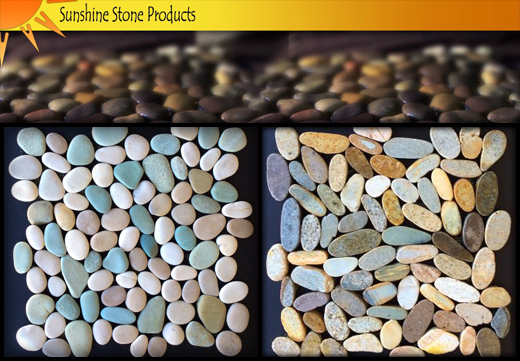 Sunshine Stone Products is a Florida based importer and wholesale distributor of exotic stone and other specialty items from around the world. 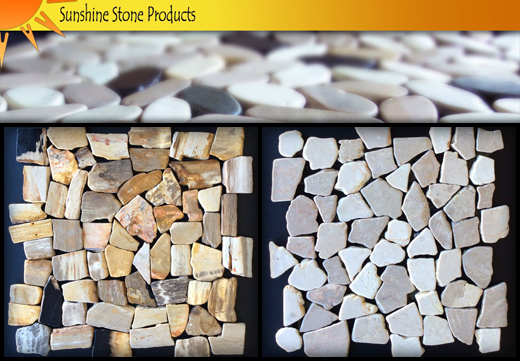 We are the exclusive source for Toemi® brand Island rock pebble tile and is registered with the U.S Patent and Trademark Office. If you don't buy it from us it is not a genuine Toemi® Product. Our products are carefully designed to our exacting standards by hand craftsmen in Bali, Indonesia. Where only the finest materials are used. Since early 2004 we have striven to team up with the best and like minded distributors from around the country. Customer service is not a department in our company, it is an ATTITUDE! Orders large or small receive the same attention and most ship the same day. Our commitment to quality and diversity will make your projects truly unique. INVENTORY WHEN YOU NEED IT! Make your next project "Rock Steady!"